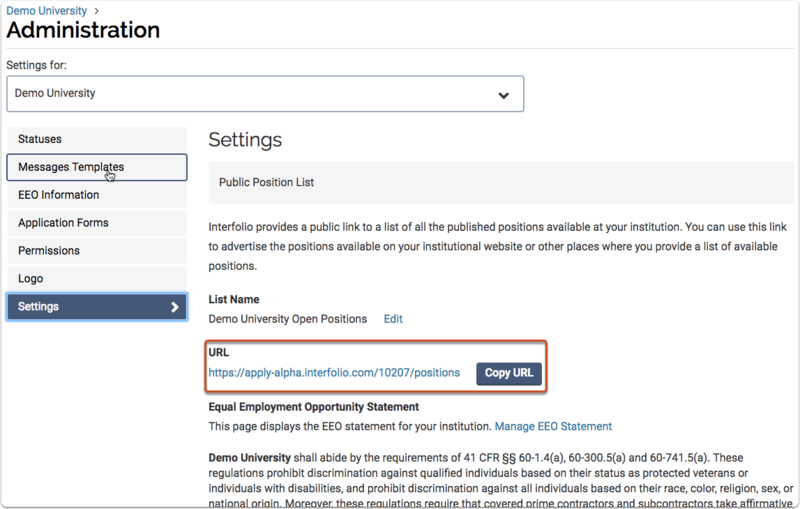 Interfolio Faculty Search provides each Faculty Search institution with a brandable, automatically generated, and searchable web page that shows all open positions at that institution that are hosted on Interfolio. 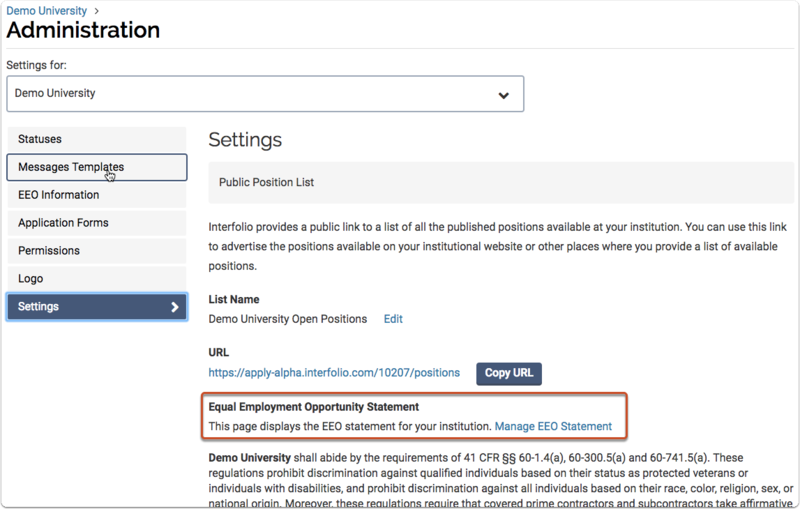 This is in respond to many institutional users asking for this functionality that was previously only accessible through the Interfolio API use. Interfolio aims to make it really easier for schools to link to a list of open positions at their institution that are hosted on Interfolio. 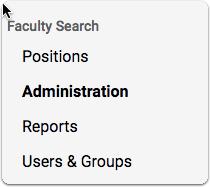 Go to the Administration page by way of the Navigation bar on the left-hand side. 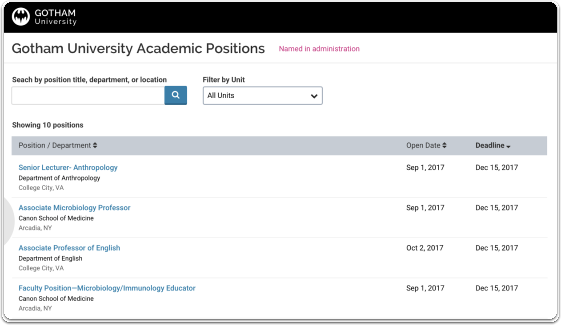 The positions page is only available from an institutional perspective at this time. Institutions can not narrow by unit at this time.